There are NO tryout fees. 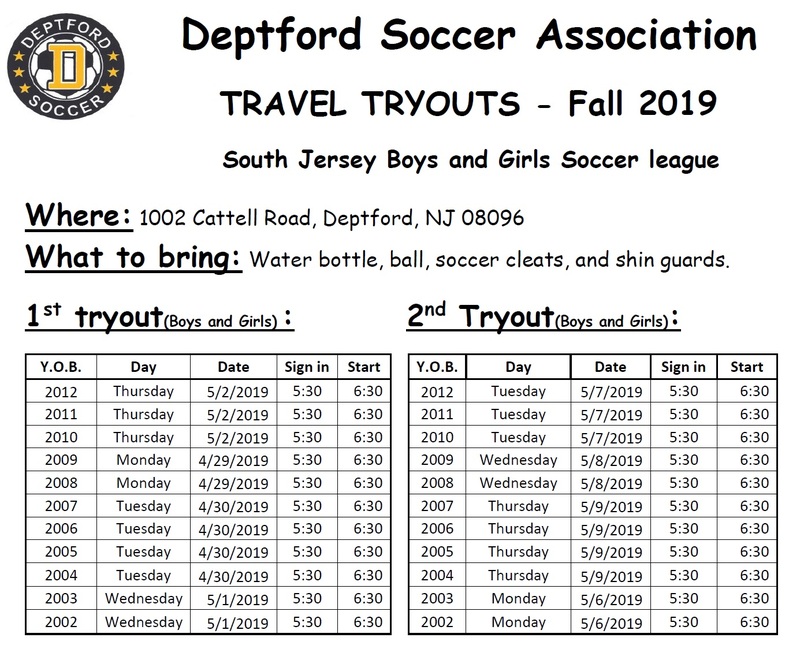 Your child can play 1 year up at Deptford soccer. Dates and times are for both Girls and Boys soccer. We are one of the largest clubs in South Jersey, so come early to sign in. It is strongly recommended that you attend both tryouts. Please give yourself enough time for the player to sign in. Any questions contact the coaching coordinator at Coaching@deptfordsoccer.net.